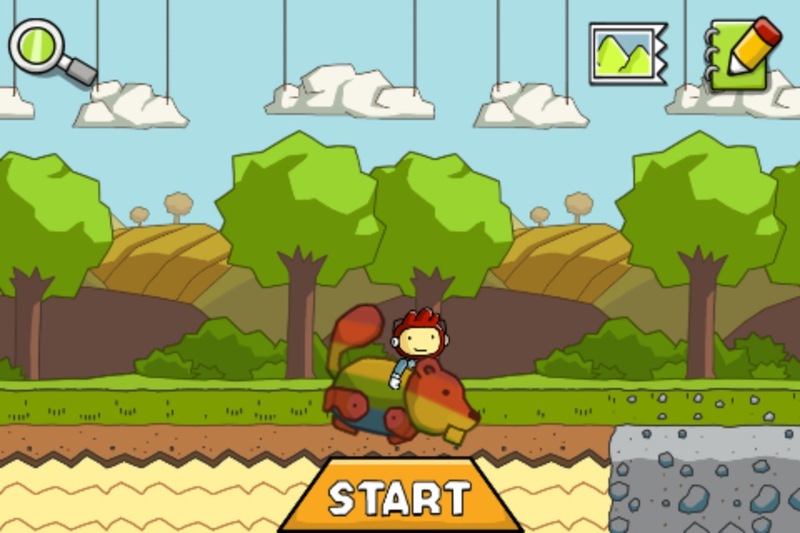 Scribblenauts Remix ($4.99) by Warner Bros. is the iOS port of the popular Nintendo DS video game. 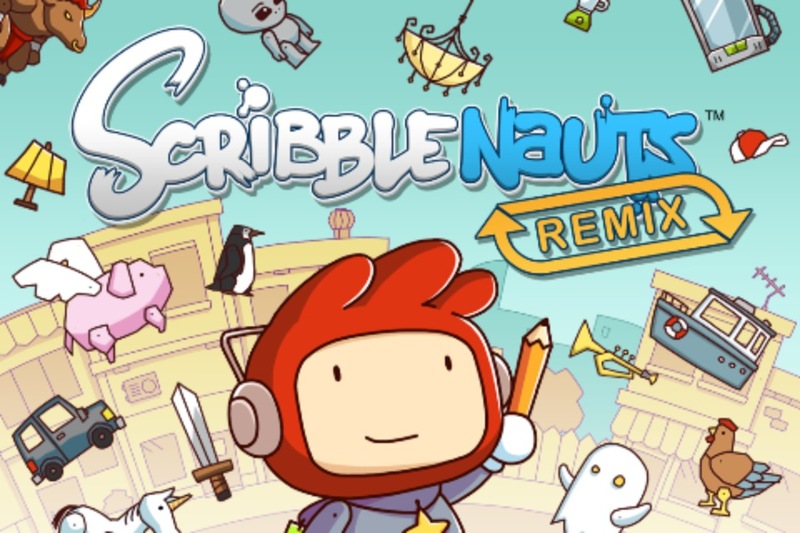 Personally, I have heard of Scribblenauts before, however, I have never actually bought the game for my DS system. 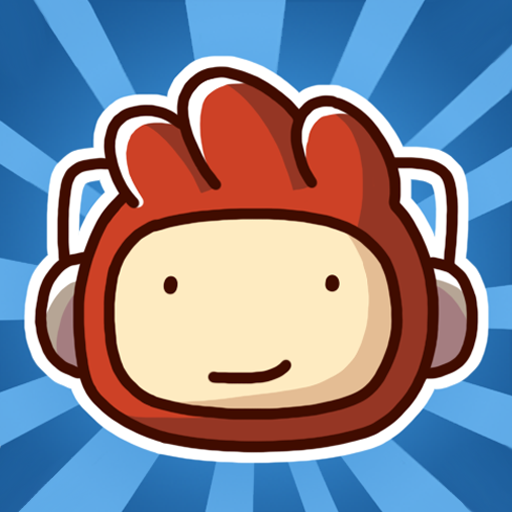 So, as I have heard that it is lots of fun, I am very glad that they have now brought it over to the convenience of the iPhone and iPad (it’s a universal app) for the low price of $4.99, compared to about $20 for the DS version. 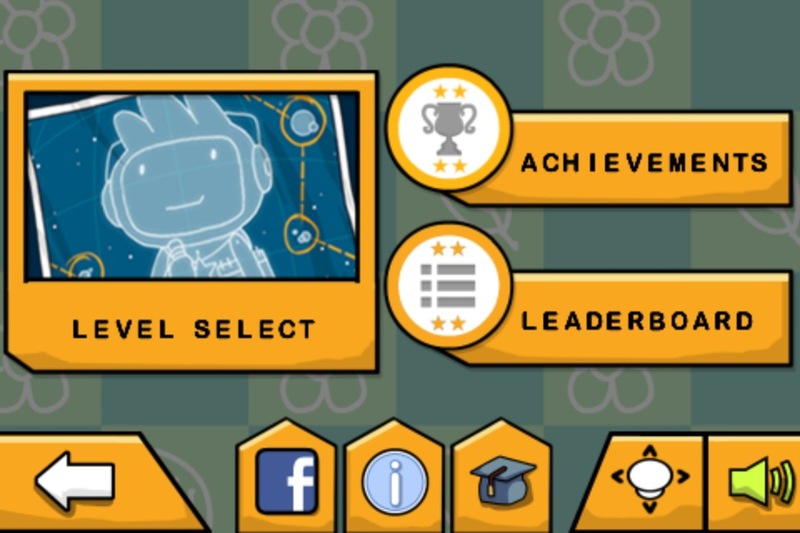 Controls in the game are fairly simple and intuitive. 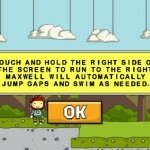 To move Maxwell around, you just need to tap and hold on the respective side of the screen you want him to move towards. 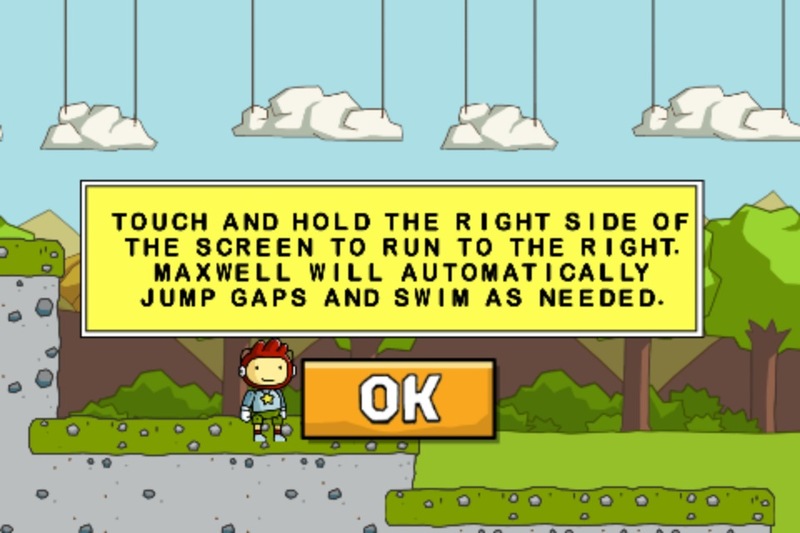 Dragging two fingers around the screen will move the camera, and tapping on the “Maxwell Head” button at the top of the screen will focus the camera back on Maxwell himself. 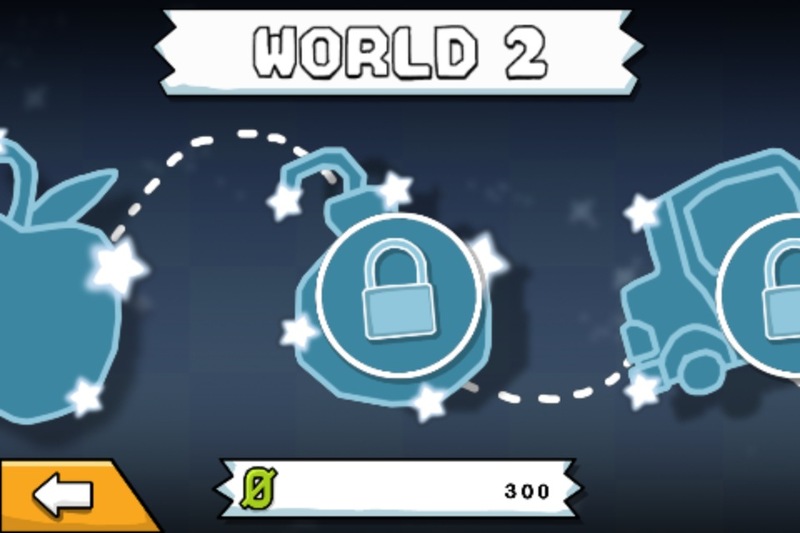 If you are not liking these controls, there is an option to have two digital joysticks for movement and camera. 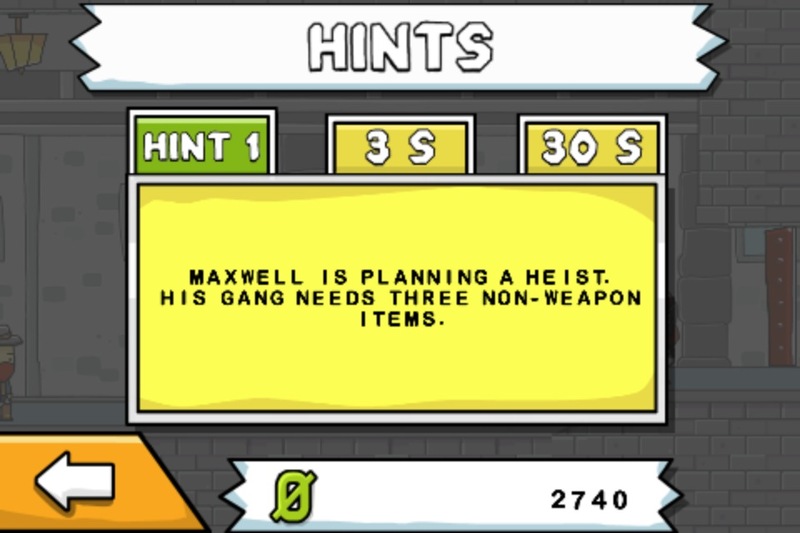 When you call up items, you can drag them to move them to their proper location, or on top of characters to give the item to them to use or wear. 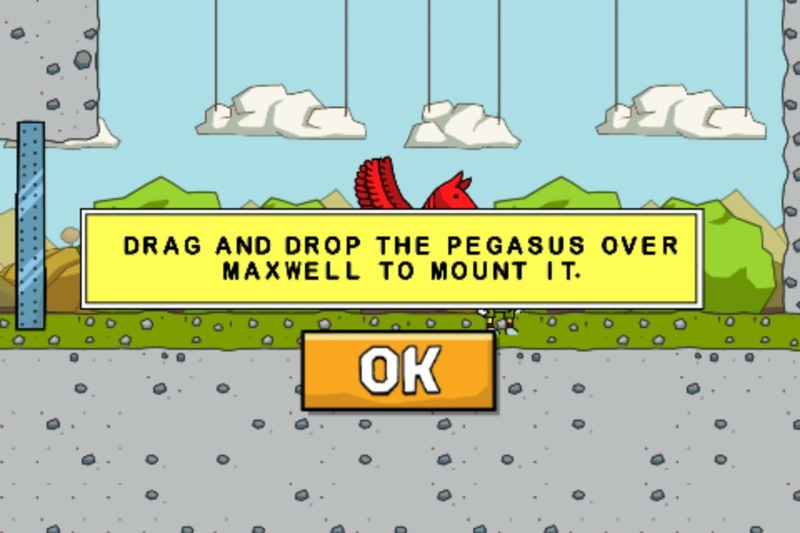 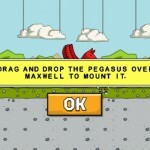 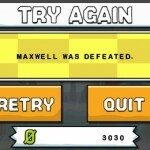 Maxwell is also able to use vehicles, such as flying mounts (e.g., a “pegasus”), or a car. 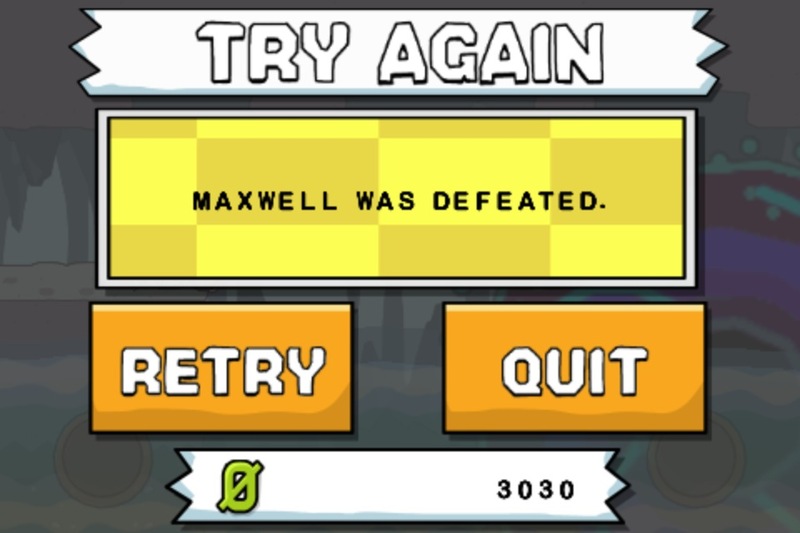 If you change your mind about an item, simply drag it to the notebook, which will turn into a trash can. 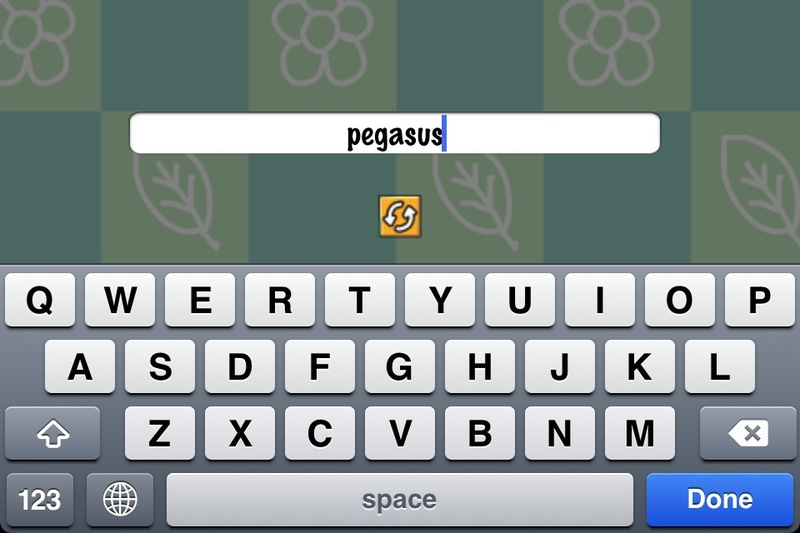 Shaking the device will clear the screen of all summoned items as well. 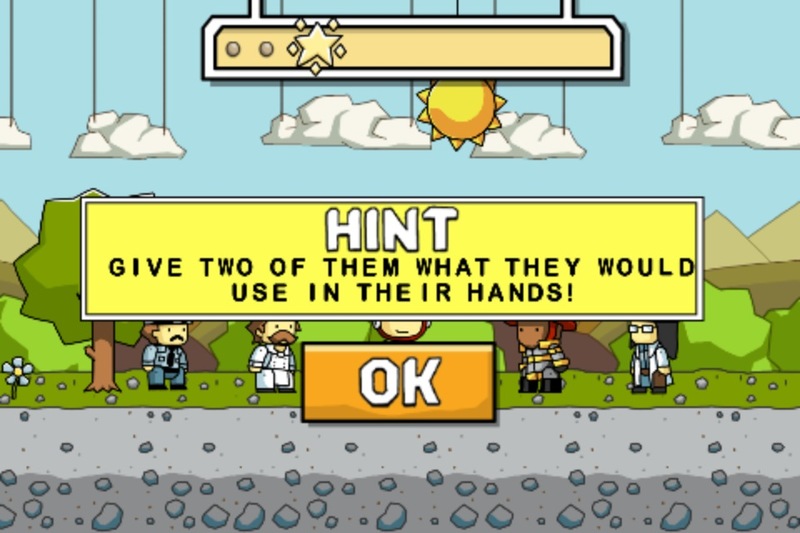 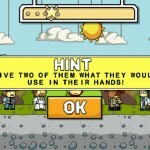 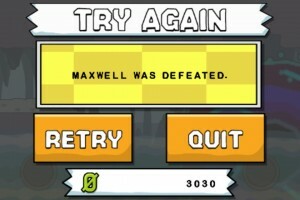 Each puzzle in Scribblenauts Remix has a certain number of items that need to be summoned in order to solve them. 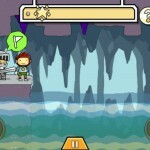 As you get the correct items, one peg will be added to the progress meter at the top. 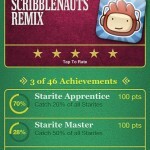 Once you get all of the items and solve the puzzle, a starite will appear. 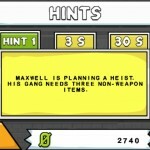 Some puzzles will have quite a lot of items, while others will require only one item (or goal, really). 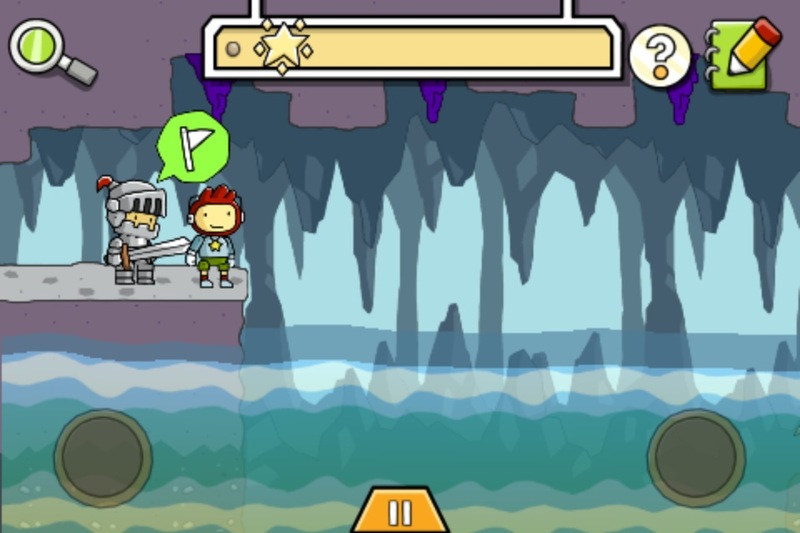 Scribblenauts Remix offers five worlds with 10 levels in each, so there are plenty of puzzles to solve with your imagination. 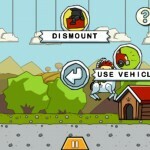 There is also a “playground” where you can do whatever you want. 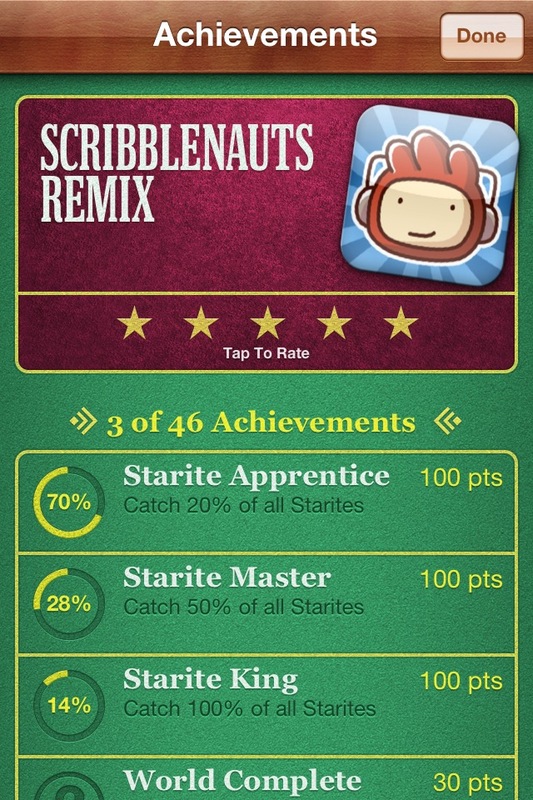 The game also has plenty of Game Center achievements (some are also obtainable in the Playground) and support for leaderboards, which you won’t find in the more expensive DS version. 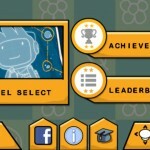 More social integration includes sending your statistics to Twitter and Facebook. 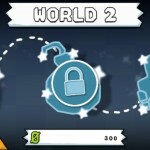 The best feature of the game is the ability to sync your game progress with iCloud. 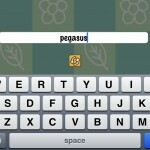 Yes, that’s right, once you get your iCloud account set up, your progress will be saved seamlessly on your iPhone and iPad. 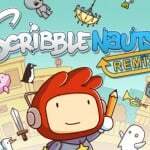 Whether you’re a fan of the franchise or a newcomer, Scribblenauts Remix is definitely an enjoyable puzzle game for everyone. 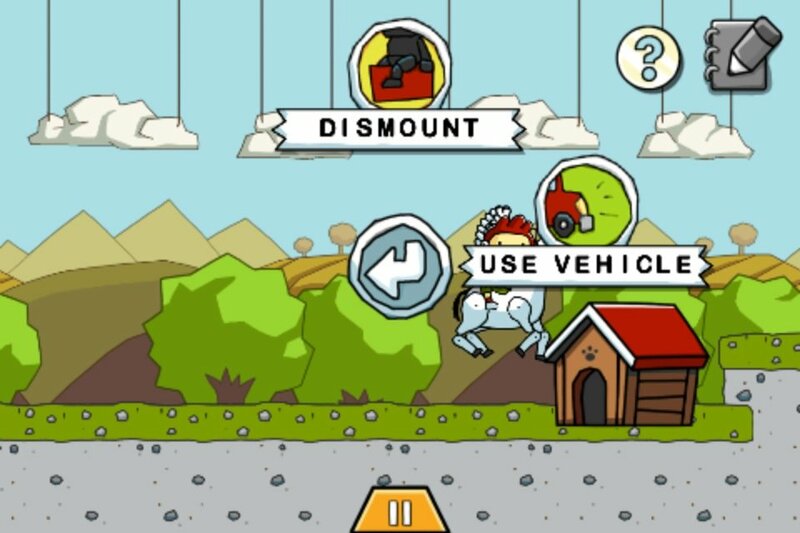 There are even some exclusive iOS-only levels, so those who have played Scribblenauts before will still find something new in here. 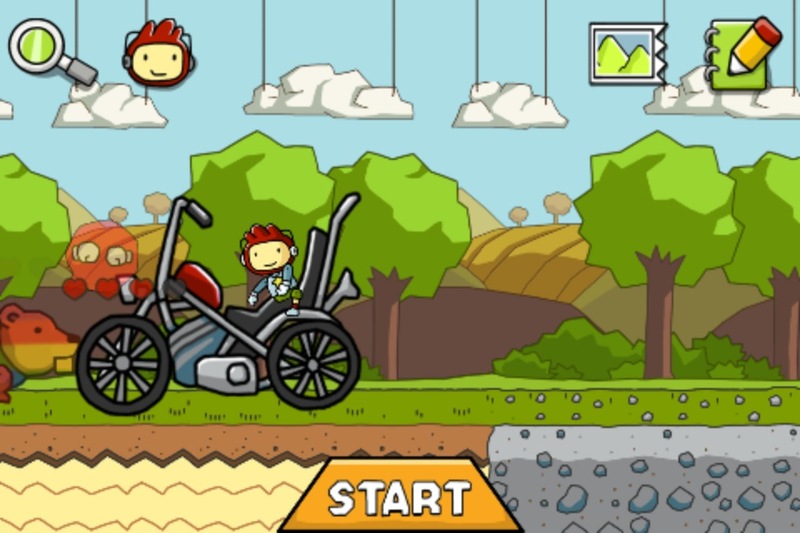 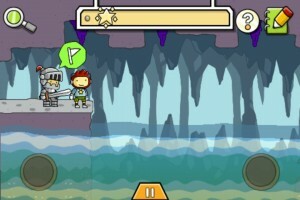 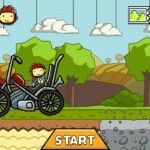 Scribblenauts Remix is a universal app for your iPhone and iPad and can be found in the App Store for $4.99. 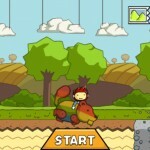 It’s a definite must-buy.